Get a behind-the-scenes look at our cutting-edge research. The Heart Research Institute headquarters is located in a purpose-built facility on Eliza Street in Newtown, designed to support cutting-edge research into cardiovascular disease. It's important to us that the community gets to see our groundbreaking research in action - research that is funded by wonderful supporters like you. Our Talk and Tour gives you the opportunity to see the research up close and personal. You'll hear about some of our research highlights and discoveries before being guided through the laboratories by our senior scientists. Bookings are essential. To register your interest, please use the form below. Can't make it to our facilities in Newtown, Sydney? 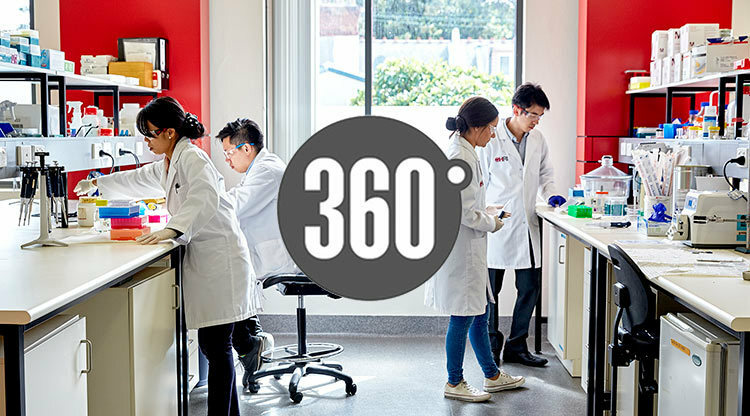 Take a virtual walk through our world-class research facilities to see where our groundbreaking discoveries happen.